Very Good. Includes three short narratives that shows how legends of betrayal and defeat simmered in European civilisation for six hundred years, culminating in the agony of one tiny population at the end of the twentieth century. 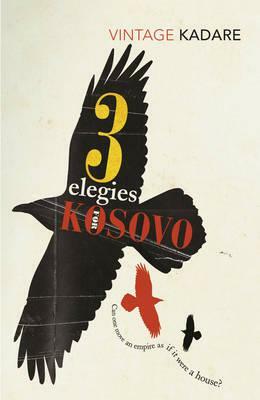 Text in English, Albanian. B-format paperback. 96 p.
Good. Includes three short narratives that shows how legends of betrayal and defeat simmered in European civilisation for six hundred years, culminating in the agony of one tiny population at the end of the twentieth century. Text in English, Albanian. B-format paperback. 96 p.
New. 2011. Paperback. Shows how legends of betrayal and defeat simmered in European civilisation for six hundred years, culminating in the agony of one tiny population at the end of the twentieth century. Translator(s): Constantine, Peter. Num Pages: 96 pages. BIC Classification: FA. Category: (G) General (US: Trade). Dimension: 199 x 133 x 7. Weight in Grams: 78......We ship daily from our Bookshop. New. B-format paperback. 96 p.